Part of me came of age at a Taco Tico in the Trademark Shopping Center in Corbin, Kentucky. It was the first restaurant where I ever ate Mexican food; my training table for the nearby Lost World Video Arcade; and where I bought burritos (.65c) to smuggle into the Corbin Cinema. It’s Friday night, perfect weather, and my daddy has pointed the Country Squire wagon out of the Billy Holler my family has called home since the 1800s. We’re heading into town to see the movies; lost to the sands of time but probably Rambo II or perhaps View To A Kill. I have a proscribed method of how I plan my evening when allowed off the family farm for a night of frivolity. I like to limber up a bit by owning the Defender machine at Lost World for an hour or so, then walk 50 yards to Taco Tico, the little adobe restaurant that brought Mexican food to Corbin, Kentucky way back in 1973. This is followed by a good 2 hour movie at the Corbin Cinema. I would rank these youthful evenings right up with the best New Years Eve celebrations I’ve enjoyed in Amsterdam or Istanbul. There is no finer feeling than, at 12 years old, being allowed off the farm to have an evening on the town in rural Appalachia. I can even remember the purple daisy dukes that Vicky Alsip was wearing one night at Taco Tico when I was about 13 years old. Haunted. Kierkegaard would have had a field day with my Appalachian psyche. Dan Foley opened the first Taco Tico in his hometown of Wichita Kansas in 1962. He was satisfied for a full 5 years before he began franchising in 1967. A short 6 years later Taco Tico opened in Corbin, Kentucky. Back then Mexicans and Mexican food were scarce in rural Kentucky. I imagine the opening of a bona fide Mexican restaurant was met with fervor. In 1991 the chain announced plans to sell all of its locations to its franchisees. After years of slumping sales the business had to attempt to remain relevant and this is the course they plotted. Marketing guru Wendell Hearne, of the old Austin band Texas Medicine was instrumental in this decision. While there is precious little information on Foley, Hearne was something of a legend in the industry. He supervised the national roll out of Liquid Paper and upon his passing here in Austin a couple years ago received countless homilies from the lions of the music industry. Corbin is changing. The city recently went wet. After decades of temperance the wild era of legal liquor consumption was ushered in by the voters in 2012. This new Corbin is set to welcome in a Marshall’s department store. Taco Tico is being bulldozed to accommodate parking for the endeavor. The Mexican restaurant is reportedly moving to nearby London. Dry as a bone, the competition for eater’s dollars will not be nearly as fraught with peril in Corbin’s northern neighbor. On my yearly visits to my hometown I would always pop in to Taco Tico to get a bean and cheese burrito and a Pepsi to slake my thirst. From a hard seat in the window I could peer out and see the shuttered Corbin Cinema and the long-gone Lost World Arcade. I’d sit there for a good hour, just wool gathering and daydreaming about my youth in that forgotten part of the world. This entry was posted in FOOD, The Foodist and tagged corbin kentucky, dan foley, kentucky, taco tico, wendell hearne, wichita kansas. Bookmark the permalink. That’s kind of sad, I feel sorry for them. At least they had a good run and they didn’t fail right as they started. Do you possible know of any local <a href=”http://www.elmolinitos.com”>mexican restaurants in Tucson</a>? If Taco Tico were still around, and they were over here, I’d probably visit them from time to time to support them, but that doesn’t seem possible. Thanks for sharing the story though. It is a rare chance that a Mexican restaurant would come to a strange place. The news that this restaurant had closed has brought sadness to my family and especially to my kids because they so love the food in Taco Tico. We are no Mexicans but we just love their food. So very heartbroken to find out over Memorial Day weekend that the Taco Tico in Corbin, Ky., has been shuttered. I was so delighted a couple of years ago to find them as they closed a long time ago in my hometown. I was tickled to death to get my beloved sancho again. Thankfully our last trip south in November we stopped. Sure would have eaten another one if I would have known they would be gone the next time I traveled through. I was born (1971 in Wichita, KS) addicted to Taco Tico because my mother constantly CRAVED it when she was pregnant with me. Taco Tico was also my first job at age 16. I have a long love affair with the underappreciated chain. I moved to Arlington, TX in late 2005 and went into serious Taco Tico withdrawal. Every time I would go home to Wichita to visit family and friends, I had to go there and get my fill of combo burritos, enchiladas and their green chili sauce! Imagine my unpleasant surprise when I discovered they were gone… shut down due to unpaid taxes. Driving past the now-empty locations still makes me weepy. Lately I’ve been thinking a road-trip to Arkansas or Louisiana might be in order. Crazy? Perhaps. Especially since I have no clue which of the locations in other states are still open. The website doesn’t seem to be functioning properly. I’ve even fantasized about opening my own franchise here. 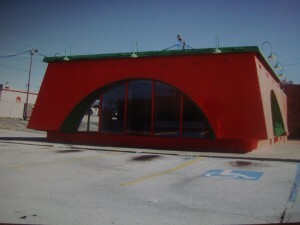 But somehow I doubt people in the DFW area would “get” the awesomeness that once was Taco Tico. Some of my fondest Wichita memories are of hanging out at the East Douglas location with my fellow College Hill Park freaks as we gorged ourselves, listened to the jukebox and played video games. Not only do I feel your pain, but I greatly appreciate your lovely ode to Taco Tico. My first exposure to Taco Tico was in Muncie Indiana back in the mid 70’s. When I moved back to Louisiana, New Orleans, it was the mainstay of my diet: three tacos, green chile and one beef enchilada one cheese enchilada same tray. We used to have four there, but are now down to two. I now live up north, far up north, back in Ohio; a land devoid of fine eating establishments such as Taco Tico. When I go back home though, I’d always make it a point to drive thru both Lexington AND Corbin for my standard fare. This last time though, a year ago, I thought that I’d pass Lexington by. It was early yet. I cannot tell you of my sadness when I learned, saw with my own eyes, that the Corbin Location was no more. Only those of us who have tasted Taco Tico and have lost it can truly appreciate what so many have taken for granted. I will pass your way soon again and rest assured, I will stop at the London location! It really has been a joy to buy cheep good taco’s from TACO TICO! and i even have a old wooden food tray from there i love. but here in northwest arkansas there gone… :(.. there is some still in kansas usa witch i will be going to this summer and seeing if there as good as these one’s was!! !…… come back taco tico!!!!!!!!!!!!!!!!!!!!!!!!!!!!!!!!!!!!!!! Vicky Alsip was way too young to die. I wonder how her life ended so abruptly? Pancreatic cancer RL. She lived 2.5 years after first finding out. Man I hate to hear that. She was such a sweet girl. I wonder if she ended up marrying her high school sweetheart? I think his name was Darren Martin. She was a real sweetie. Judging by her posts on her FB page the last couple years she hadn’t changed any. We used to be friends when we were in our teens and 20’s but lost touch. She may have at some point married Darren at some point, but according to her Facebook posts she was married to a Jeff during her initial illness and then she was with a guy named Tony starting a year or so before she died. I had no idea she was sick or even that she was on Facebook until today when I found out she had passed away. Thanks for the updates, she will be missed. 1. London was already wet for restaurant sales before Corbin – still doesn’t have package sales. Both got trumped by MANCHESTER, of all places, because of the backlash from the Manchester people finding out their mayor and his businessman brother at the time, both stalwarts of the dry forces, were actually RUNNING the bootlegging and drug importing for the region. When Manchester went wet, London & Corbin started tripping all over themselves to pass alcohol sales. 2. You either got the dates reversed or a typo – you have the chain being founded in 1972 and franchising starting in 1967. 3. No clue what restaurant you were thinking of that supposedly moved to London. The place was already long closed when you wrote this. All the Mexican restaurants in London, other than Taco Bell, are sit down places that have alcohol sales. 4. Corbin didn’t get a Marshall’s, though they did get a Ross where the movie Theater and The Lost World used to be. The restaurant sign is still there, last I looked, but I’m not sure how long the building lasted, other than it seemed to be there long after the demolition rumors. 5. The “Taco Tico” had stopped being such at some point in the early 9os, if not the late 80s. It became a “Tacos Too” (or, as some of the people I knew that worked there, “Tacos Maybe”, because the quality or lack thereof of the taco meat). It didn’t become a “Taco Tico” again until the short period it reopened (after sitting empty a while) in the 2000s, and I don’t remember that lasting all that long. Thanks for the catch on the typo. I fixed it. Did you go to Saint C? I went to school there with a kid named Stanley Bundy way back when. Also, I thought Corbin went moist in 2003 and London followed in 2005? But that info came from Corbin News Journal so I’m not sure how accurate the info is.